Abadi warned that the army’s violations of human rights will not be accepted but also urged organizations making such accusations “to check and verify their sources” before questioning “the role played by this [sic] organizations when ISIS was slaughtering people of Mosul and destroying everything in their way.”The Iraqi prime minster stressed that “no terrorist escapes punishment” or benefit from an amnesty. Lynn Malouf, a Research Director at Amnesty International, said the Iraqi government and the U.S-led coalition “must immediately and publicly acknowledge the magnitude and seriousness of civilian casualties during” the offensive operation against ISIS. 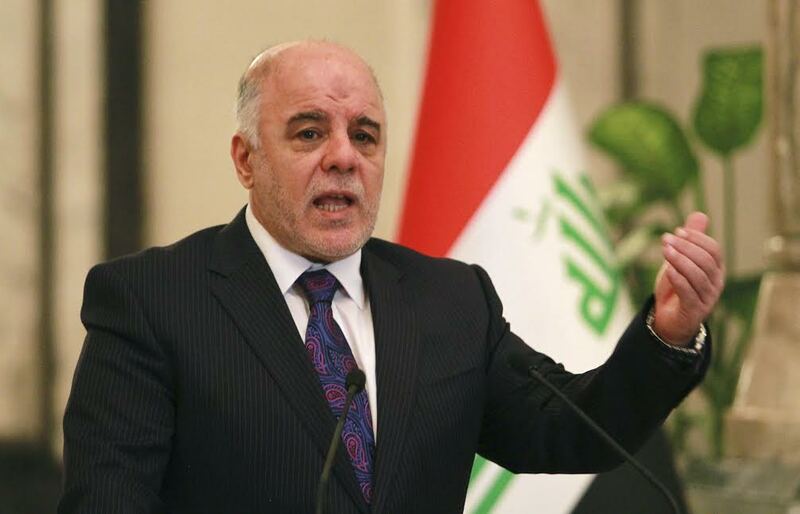 The Iraqi government is reportedly holding around 200 families believed to be linked to members of the extremist group in a closed rehabilitation camp which right groups have referred to as de facto detention centers for collective punishments. Written by: Peter Mulvany on July 13, 2017. Posted by Peter Mulvany on Jul 13 2017. Filed under Gulf News, Headlines. You can follow any responses to this entry through the RSS 2.0. Both comments and pings are currently closed.